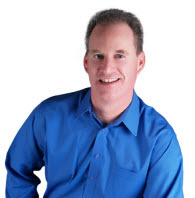 After spending over 15 years in both a hospital and private practice settings helping couples, singles and families, Bob Grant created the Woman Men Adore program as a way to help women worldwide experience the same fulfillment his regular clients have been experiencing in his private practice. Our website now reaches both women and men in over 45 countries and growing. Our most popular report: How To Be Irresistible To Men has been read by over 100,000 women in over 60 countries. You can get your FREE copy by entering your email address in the red box on this page. This well researched program shows you the traits and qualities that men are biologically designed to find appealing. In addition, we offer a special Club for a select few women who want to practice these skills in a safe and fun environment. Join the members only club and get expert advice at a fraction of the cost of working with a Licensed Professional Expert. If we don't answer, then please leave a message so we can call you back!